Well, it’s for lots of stuff, so I won’t even try and be comprehensive. I’ll just hit the highlights. 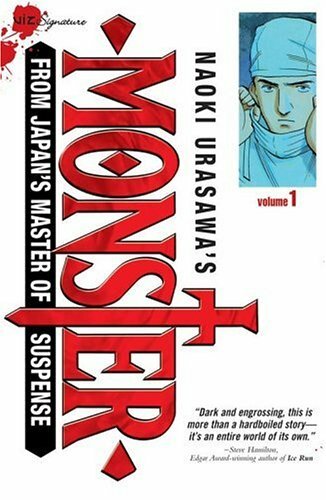 Technically, this could fall under “N,” as Viz insists on putting “Naoki Urasawa” in front of all of that creator’s titles, but I’ll just stick with plain-old Monster in this case. It’s about a brilliant surgeon who unknowingly saves the life of a deranged killer. Oops! 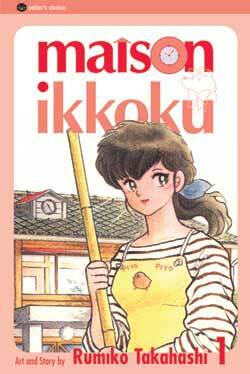 On a much lighter front, we have Rumiko Takahashi’s Maison Ikkoku (Viz). It follows the start-and-stop romance of a somewhat aimless young man and his widowed landlady. They also have crazy neighbors who are pretty funny. On an arguably much more horrible front, we have the often fervently disliked Maria Holic (Tokyopop), written and illustrated by Minari Endou and originally serialized in Media Factory’s Monthly Comic Alive. It’s not all wrongly accused neurosurgeons and romantic comedy, kids. 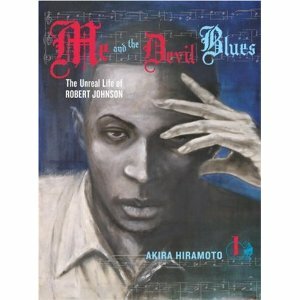 On an interesting but commercially shaky front, we have Me and the Devil Blues: The Unreal Life of Robert Johnson (Del Rey), written and illustrated by Akira Hiramoto, who added some supernatural elements to the life of the legendary blues musician. 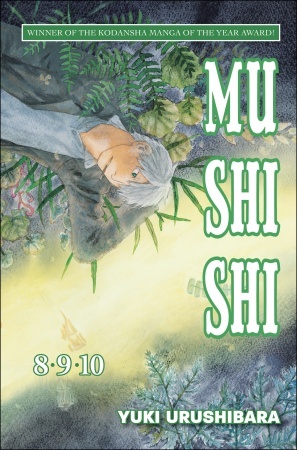 Sticking with Del Rey, we have Yuki Urushibara’s excellent Mushishi, which was the topic of a Manga Moveable Feast. 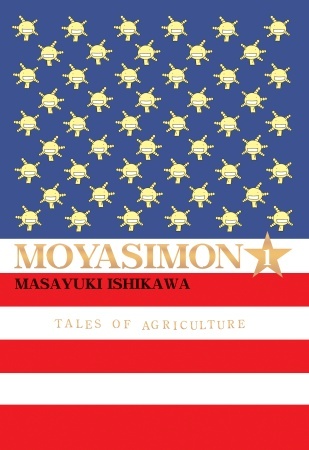 Also from Del Rey and also focused on the microscopic is Moyasimon: Tales of Agriculture, written and illustrated by Masayuki Ishikawa, which is in limbo since the Kodansha shake-up. 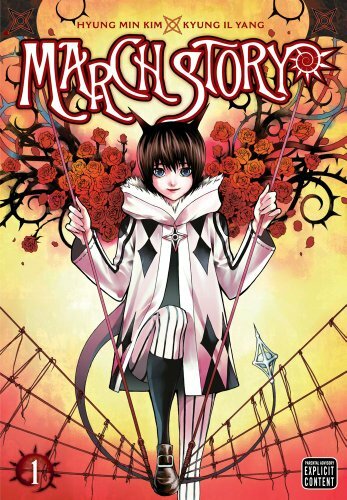 Viz just launched March Story, written by Hyung Min Kim and illustrated by Kyung-il Yang, and originally published in Shogakukan’s Sunday GX magazine. One could theoretically do the Tezuka Alphabet, you know? In the seinen category, one of my favorites of his works is the deeply crazy MW (Vertical). On the creator front, we’d certainly have to start with Taiyo Matsumoto, known best here for his brilliant Tekkonkinkreet and GoGo Monster and perhaps less so for his out-of-print Blue Spring and No. 5, all from Viz. Viz has also published Motoro Mase’s Ikigami: The Ultimate Limit. Lots of people have loved the work of Kaoru Mori, including Emma and Shirley from DC’s lamented CMX imprint. But we can look forward to her Otoyomegatari from Yen Press. 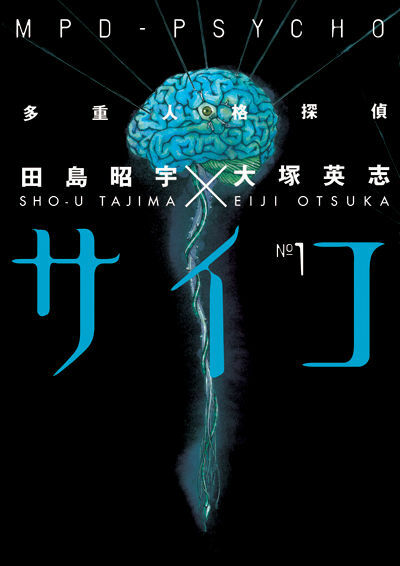 Minetaro Mochizuki’s Dragon Head (Tokyopop) enjoyed critical if not commercial success when it was published here. Few creators are capable of the kind of tightly-controlled crazy delivered regularly by the brilliant Junko Mizuno, most recently of Little Fluffy Gigolo Pelu (Last Gasp) fame. Some of my favorite comics have come from Kodansha’s Morning magazines. And way back in the day, Tokyopop published a little magazine known originally as MixxZine, which featured seinen titles like Parasyte and Ice Blade. I wouldn’t even know where to begin with the unlicensed seinen titles that start with “M,” so please feel free to contribute your suggestions in the comments. And of course, I’m curious as to anything that starts with “M” in your seinen alphabet! I don’t know how I forgot MPD Psycho (Dark Horse), written by Eiji Otsuka and illustrated by Sho-u Tajima. It could be that the series is a little gross for my taste and I prefer Otsuka’s Kurosagi Corpse Delivery Service, which he creates with Housui Yamazaki, who created Mail, also from Dark Horse. I like Mail a lot, but I left it off this list because I thought it was originally published in a shônen magazine (Kadokawa’s Shônen Ace). Can I have a ruling? You are currently browsing the The Manga Curmudgeon blog archives for the day Wednesday, October 20th, 2010.